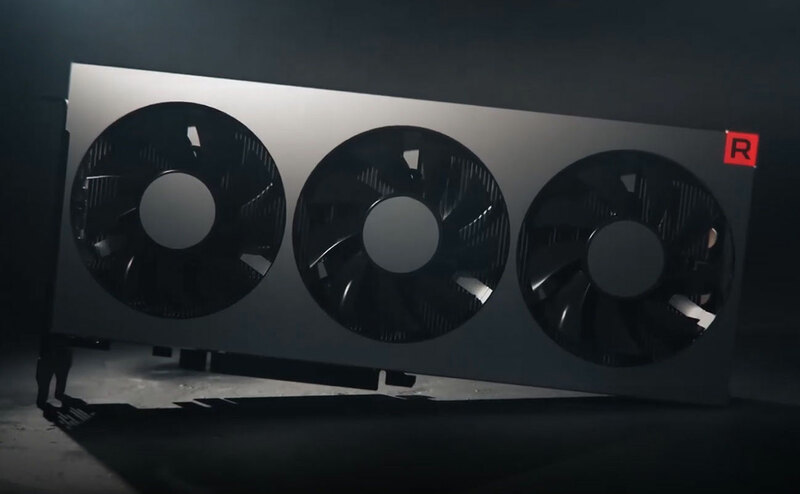 Home»News»The Radeon VII is here. What do the reviews say? The Radeon VII is here. What do the reviews say? AMD's first high-end graphics card since 2017's Vega 64 and the world's first 7nm GPU, the Radeon VII, is finally here. Just one month after being announced at CES 2019, the RTX 2080 competitor card is ready for sale and the reviews are in. With a price tag of $700, the Radeon VII needed to be directly competitive with the RTX 2080. It is, but that's not the whole story. Reviewers found that in DX12 and Vulkan games the Radeon VII was competitive or even more powerful than the RTX 2080 by a few percent points, but in DX11 games it tended to fall behind. This was less pronounced at 1440P and 4K, but the Radeon VII struggled the most at 1080P. Fortunately that's not a huge problem as this is a high-end card and would be overkill for most gaming setups at that resolution. However, it does also draw more power and it gets quite loud during gaming, which for a three-fan card is somewhat disappointing. AMD clearly put all of its additional headroom from the 7nm die shrink into upping clock speeds and nothing into reducing power draw. It does run a little cooler than the Vega 64, but not by much. Overclocking the Radeon VII isn't easy. Even famed overclocker Der8auer ran into difficulties moving power sliders or clock speeds by even small amounts. Limited to Wattman for making adjustments, purportedly due to the way the card is designed, he ended up needing to use extreme cooling solutions to force the card to do much more than it was originally planned. With simulated watercooling he was able to improve performance by 1-2 percent due to reduced thermal throttling. With a hard dry ice run though, he was able to get the core clock up to 2,105MHz, which did deliver a sizeable performance enhancement, but only the automated overclocking function appears to work. Overall the Radeon VII is a decent competitor for the RTX 2080 and is probably the best card in the world for prosumers who want to perform compute tasks during the day and game at night, but its identical price tag, high-power draw and lack of visual features like ray tracing and DLSS make it harder to recommend. Still, it supports Freesync, so this is still the best card in the world for high-end Freesync gaming. This is still early days, though, so driver updates may make improvements in the future. Can it run age of empires? Rushed cards with very little improvement over the previous gen. Ignore these types of cards guys especially if you have the previous gen. We must teach these companies we wont stand for this nonsense. Improve a car by a few percent release, charge hundreds of dollars... rinse repeat. Get lost new gen video cards. We don't need you turtles. We want much better faster speedy cards over the previous gen other wise don't release new cards until you're ready to make the leap. Trying to steal all our lunch monies for only a few percent improvement over last gens super fast cards. Extremely fast, can complete OpenCL development tasks quicker than nvidia's titan, And can take on tasks the nvidia titan can't due to only 12GB of vram. Vega2 is great quiet cool. Just retailers charge you up the @ss for it. Well on the benchmarks it falls behind 2080 and 1080ti on alot of games espically in 4k, But it does beat does beat the 1080ti and 2080 in dx12 on the few games that i saw, Including shadow of the tombraider and in a number of other games in dx11 mode, For the price its good as it only falls behind the 2080ti, And is cheaper so if you want that bridge between price and performance then this card might be for you, But personally i would say go with a 2nd hand 1080ti on ebay as its beats it overall still on bencharks, There is going to be a huge shortage for no doubt a month or 2 like with nvidia as there is only a limited amount of cards that has been made, Another rush like nvidia to get something new on the maket, Nvidia had rtx , dlss and adaptive shading and amd has a 7nm gpu.